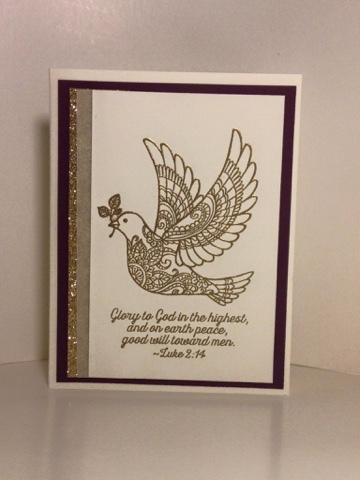 This Dove of Peace stamp is stunning embossed in gold. I loved combining textures and glittery, shine on this design. The Blackberry Bliss and Very Vanilla cardstock layers create a bold contrast. A stripe of Gold Glimmer paper with a stripe of Vellum add even more color and textural interest.